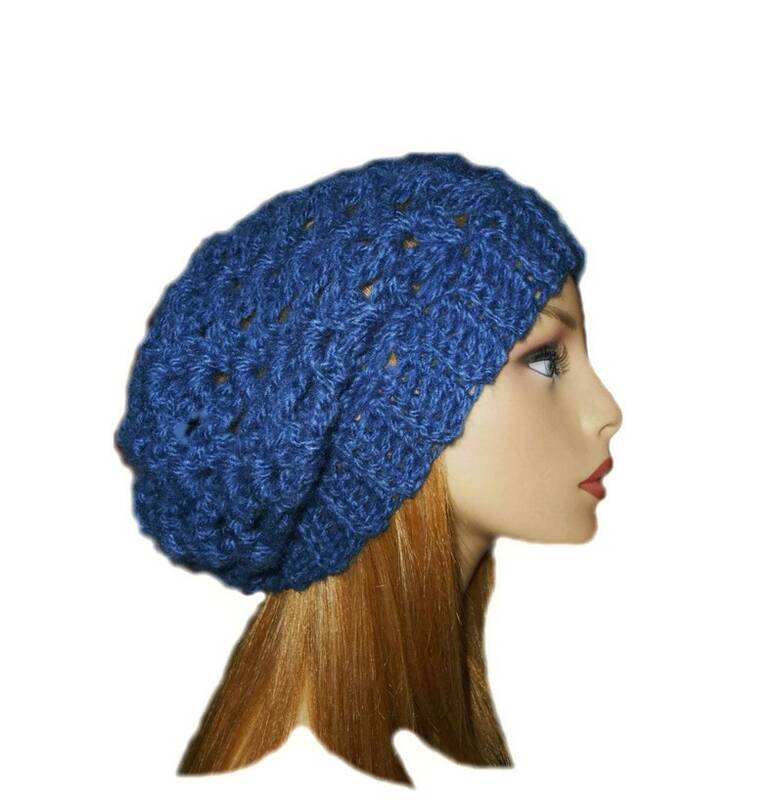 Crochet Slouchy Beanie Hat in Denim Blue in our bestselling slouchy hat beany design. What's great about this slouchy is you can wear it in any weather: Spring, Summer, Fall or Winter, and be comfortable. It is handmade crochet with slightly bulky yarn that is 100% brushed acrylic (vegan), in a fun denim blue color that will look wonderful with all your outfits. It’s exactly like the picture and is so well made! !